As an Engineering and Leadership student at the University of Alberta, Kabir Nadkarni champions renewable energy and conservation education. 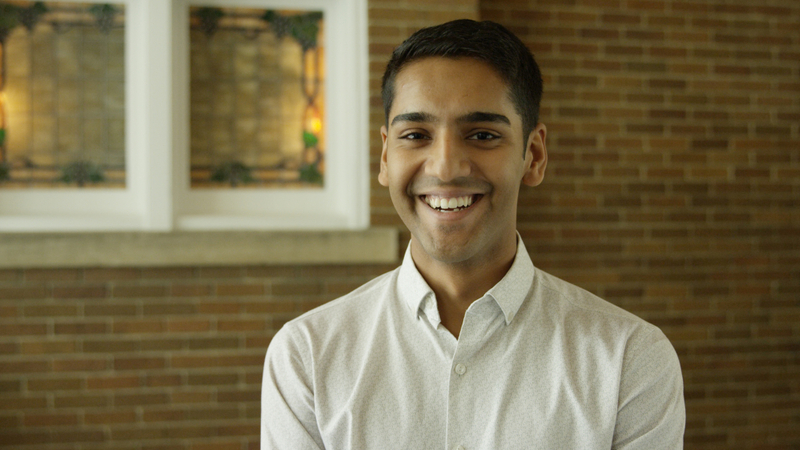 When part of the City of Edmonton’s Youth Council exploring solar options for City Hall, Nadkarni discovered a knowledge gap among Albertans interested in sharing a partial stake in owning, leasing or using solar electricity through a community project. That pushed the student and Sara Hastings-Simon to co-author the Alberta Community Solar Guide—a widely-available resource for developing more accessible, affordable and equitable solar projects. The well-received guide explains Alberta’s electricity system and the local policies and technologies needed to develop community-owned renewable energy opportunities. Created during an internship at the Pembina Institute, Nadkarni and Hastings-Simon’s publication explains how community solar projects can make the provincial electricity market more environmentally-friendly through smaller, cleaner, decentralized renewable energy efforts. Nadkarni’s research and innovative findings have been shared in public lectures, workshops with the Solar Energy Society of Alberta, and on radio talk shows. Nadkarni is also project manager for ZeroPlane, a student group building UAV drones for environmental-protection uses, such as fugitive methane tracking and Caribou conservation counting. ZeroPlane was named 2017s most promising student group by the U of A Students Union. Ahead, Nadkarni is consulting on energy efficiency and tenant engagement for Edmonton’s Capital Region Housing Corporation. He is also doing volunteer environmental research for the U of A Endowment Fund and Paul First Nation.